At Clearview Park Golf Course, creating events that reflect your personal style is our priority. To help you create memories that will last a lifetime, we offer a wide variety of services and catering options to make sure your special day is a hit with all your guests. From intimate business dinners and small baby showers of 20 guests to beautiful wedding receptions of 200 or more, Clearview Park will accompany you through the planning and execution of spectacular events, underscoring our enchanting venues and unrivaled amenities with impeccable service. We offer a diverse range of indoor and outdoor event venues customizable to make your event exceptional. With views of the expansive putting green, a charming pond, and numerous tees with lush and rolling hills, many of our spaces can be combined for a unique and sensible layout that is sure to impress your guests. Looking for a way to rejuvenate your staff? Take a break from the traditional boardroom and hit the course for an exhilarating round on our 18-hole course, or take team-building exercises to a new level by utilizing our 8,000 square-foot putting green. From small business meetings to corporate outings, Clearview Park Golf Course has the amenities, event capabilities, and experience to ensure your event’s success. Able to host events of all types and sizes, Clearview Park Golf Course offers affordable packages that can be tailored to your specific needs. We’ll make sure your special day runs flawlessly and fits within your budget. At Clearview Park Golf Course, we’ll put in the extra effort to make sure your celebration exceeds your expectations with a variety of event packages and the option of customizing services to suit your needs and wallet. 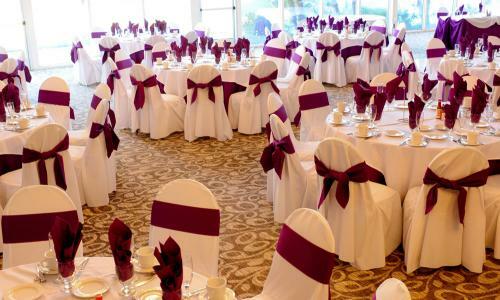 For a truly unforgettable event, from birthdays and fundraisers to wedding receptions and anniversary parties, Clearview Park Golf Course is where memories are made. Clearview Park Golf Course offers an array of upscale facilities and amenities ready to accommodate events of all sizes and types.